Swayambhunath at Kathmandu is also part of the UNESCO World Heritage Site at the Kathmandu Valley. It was part of my day tour of Kathmandu after coming back from my trek to the Everest Base Camp. When I entered the premises I encountered this wishing fountain and this girl was sincerely making a wish! No I didn’t wish for anything, I could trek successfully up to the base camp and that was enough for me for a while. 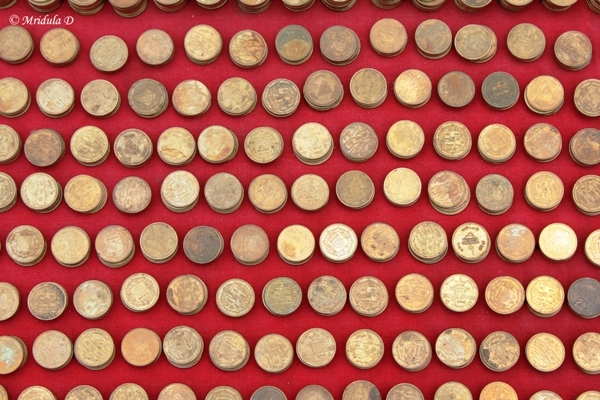 Here are the wishing coins that you are supposed to buy to throw in the bowl in middle of the fountain. It was not an easy task. Your wish would come true only if you could aim the coin into that bowl. I have seen lamas playing football, talking on cell phones and eating in restaurants, heck one was even wearing a shirt that said Chick Magnet! But this was the first time I saw a lama manning a fruit stand! 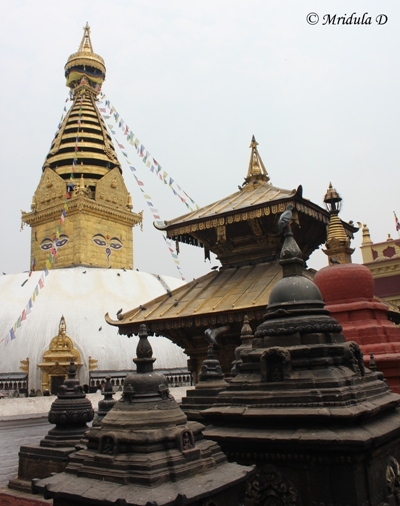 This is the main premise of the Swayambhunath. 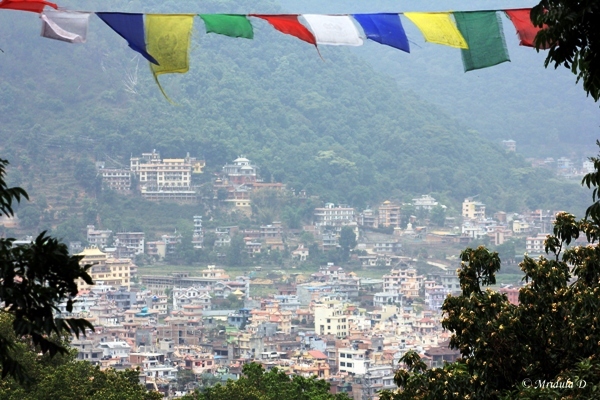 And this is how the Kathmandu City looks from the elevation of Swayambhunath. Once again when I was there it was mid day and I had washed out skies but I now do look at the pictures more kindly.